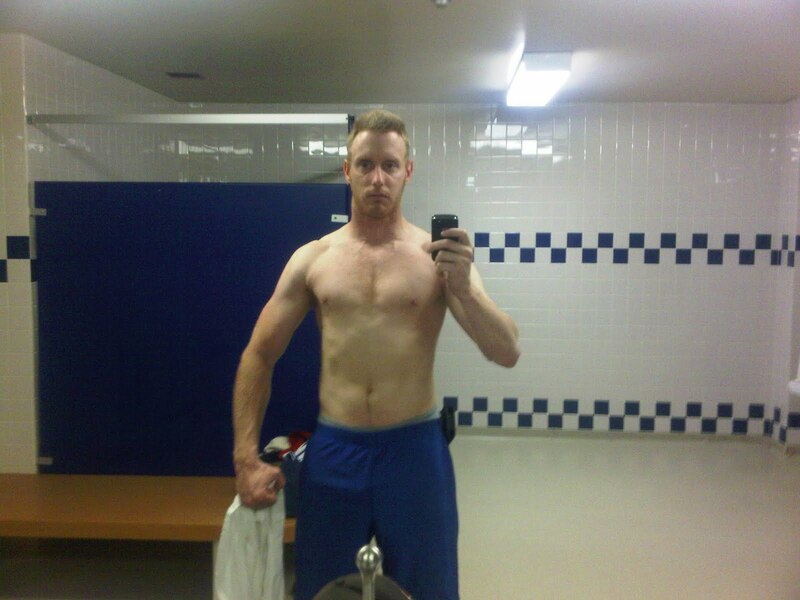 Rep to Failure - A MuscleHack Journey: THT 4.0 V1 Shoulders done! THT 4.0 V1 Shoulders done! In the interest of not eating up space everywhere, THT 4.0 Volume Cycle #1 (isn't that a mouthful!) will be referred to in new post headlines as "THT 4.0 V1" followed by whatever day it is - Shoulders, Back / Biceps, etc. With that said, yesterday's first THT 4.0 Volume workout reminded me why I try to support Mark McManus so much. I started a tad bit low for my opening sets of overhead press and lat raises, but I quickly found my groove after that. Plus... 4 sets of trap shrugs? That's WAY more intense than I was doing with THT 3.1 HIT because that's how a volume cycle works. You hit one / two body parts harder than you'd hit them for a HIT cycle. I couldn't easily raise my hands above my head after my workout yesterday because my workout hit my shoulders that hard. THIS is why I MuscleHack. THIS is why I shamelessly promote Mark's work to everyone, 24/7 - but nicely, I hope. I believe in this "system" because it WORKS. You can do over a year's worth of training now, indeed several years now, without repeating the same cycles. How awesome is that? And it's all still FREE. It's really simple, folks. Do you want to be in better shape? Do you want to do the things you love to do even more frequently, all the while feeling better about yourself because doing what you love is less tiring and more enjoyable? Your choice is quite clear, then. Join the MuscleHack FB page, visit www.musclehack.com and download the latest THT 4.0 workouts. You can also join the MuscleHack forums and get tips and advice on lower-carb / low-carb eating that will assist you in your transformation into someone who can literally do more in weeks than they likely believe is possible. You CAN do it, but you need to BELIEVE that you can do it in order to succeed. Without positivity, you can't succeed. Of course, I'll happily answer your questions and comments here, or you can message me via Facebook. Train hard and even use the new THT 4.0 cycles as a springboard to launch yourself forward into a healthier, more energized life. PS - A quick pic. Note the trashed traps and delts! Traps especially are really starting to come up! THT 4.0 V1 Legs day done! Week #10 THT 3.1 HIT Day #1 done! THT 3.1 HIT Week #9 done, Week #10 starts today!